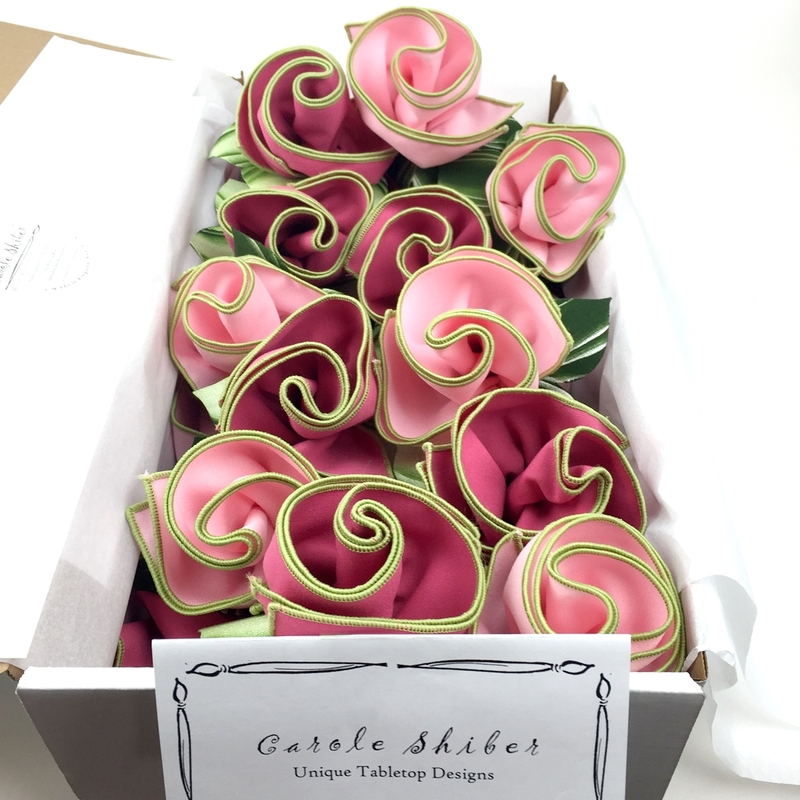 Flowers that last a life-time ~ sent to you or as a gift bouquet, rose-rolled, boxed and ready to delight ~ our Sustainable Napkin Bouquets keep on blooming, day after day ~ year after year! Generous 20" easy-care napkins (wash-dry-&-no-iron) simply re-roll into Carole's original hand-painted Leafy Napkin Rings for a fresh, sustainable bouquet, meal after meal! Click here for our Napkin Folding Video. Send as a gift, and write a note at check-out so we can enclose your sentiment with your gift bouquet! Here are some of Carole's favorite arrangements, mixing and matching her most popular napkin colors into beautiful bouquets of 4, 6, 8 or 12. Set as individual floral napkins at each place-setting or gather in a vase or clay pot as floral centerpieces or as decorative accents all through the house!